The best gift of all... free fall! Jump from 15,000 ft and get up to 60 seconds of free fall. Give the best gift of all...free fall! 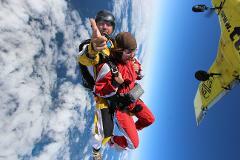 Grab a 12,000ft skydive voucher valid for 180 days! Aren't you lucky?! 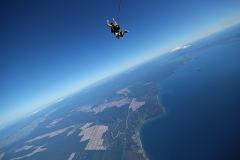 You've got a 9,000ft skydive voucher with Taupo Tandem Skydiving! Get yourself a $50 Gift Voucher to use toward your jump. 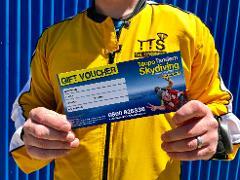 Grab one of our $100 gift vouchers towards any skydiving adventure! Get yourself a $200 Gift Voucher to use toward your jump. 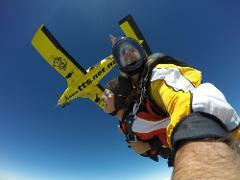 The Air2 package gets you the 15,000ft skydive and a free Exit Photo from TTS. The Taupo Bungy will get a free video of you jumping over the beautiful Waikato River! The gift of pure adrenaline! This is our HIGHEST skydive altitude with up to 75 seconds of free fall!